﻿ Techno Industries Pvt. Ltd.
We welcome you all to our Family of Techno Industries Pvt. Ltd., a true engineering company. Techno Industries Pvt. Ltd. is one of the leading and accomplished companies in the manufacturing & marketing of pumps, motors & elevators. But what sets the company apart from others is the quality and high precision engineering excellence in products and prompt after sales service to the customers. Since inception in `80s. Techno Industries Pvt. Ltd. is a professionally managed fast growing engineering company with focus on diversification with innovation with time. "We, at Techno Industries Pvt. Ltd., are dedicated to the pursuit of growth and excellence in our people, products and services through a commitment to innovation, togetherness and team spirit"
As we move ahead in our journey to attain supremacy, the challenge seems daunting in its own way. It also helps us to innovate and improve ourselves continuously -Strengthening our resolve to tread the difficult path with greater conviction. We, at Techno Industries Pvt. Ltd. are ready to work with you all hand in hand with the concept of product innovation, up gradation of quality, market enhancement through various measures & increase in support mechanism. Probably, we have come to a new beginning, where challenges and opportunities run side by side. It is good for all of us, as it adds fuel to the dynamism and spirit with which. TECHNO is growing today. Currently, though the economic climate is unstable; however with the diversification of our product line and several markets that we serve, we have been fortunate to maintain sufficient momentum in each of these fields. Our company's mission of “commit ourselves for supplying products that would give complete satisfaction to customer" continues to be our main focus. 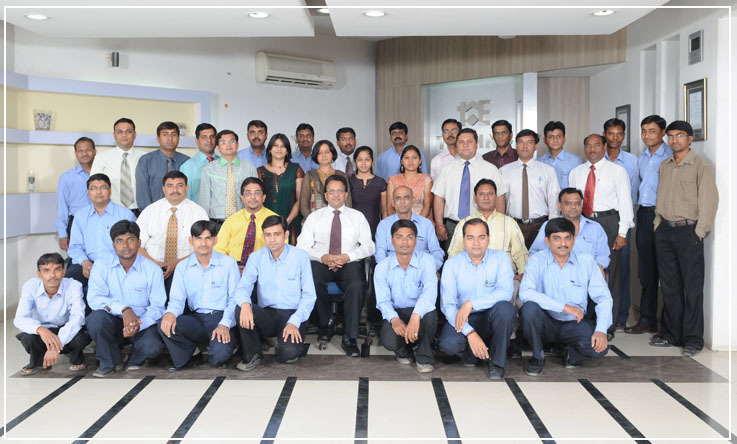 It is through the efforts of our team that we never lose sight of the customer's needs. We strive to serve our customers with integrity and quality each and every time. Focusing on this goal with strong team efforts, we will certainly succeed in every effort and pursuit. We, hereby wish to express gratitude to our staff, channel partners and customers for their continued support as we move forward. Here, we remain committed to “we care & feel togetherness."